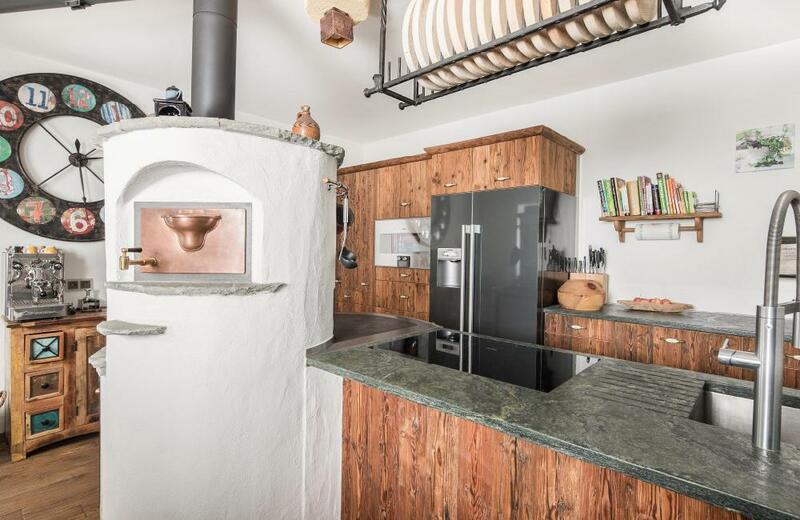 This spacious Austrian Country house was built in 1996 and completely renovated in 2015. Special attention was paid in using the highest quality products in perfect workmanship and equipped with many exclusive details. 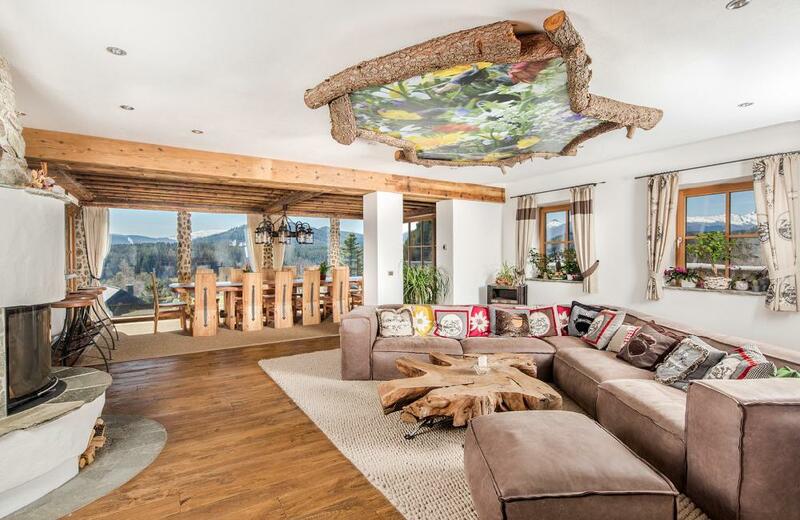 The result is an individual mix of traditional alpine construction and modern lines in the interior design. 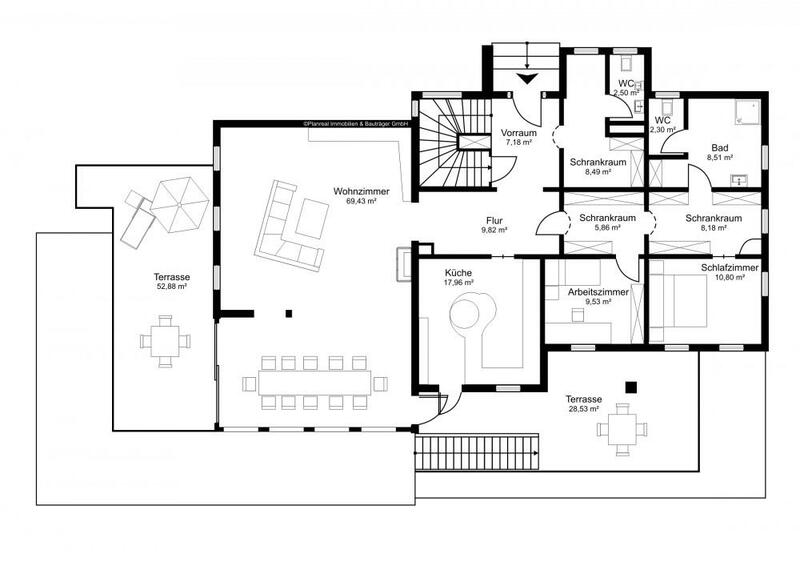 The living space streches over two floors with an approx. size of 300 m2. 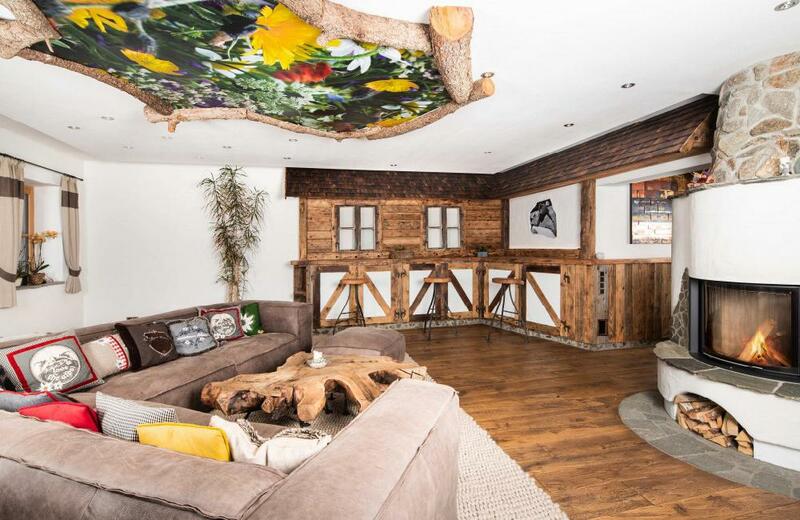 Additionally the chalet has a beautiful spa area, situated in the basement with an approx. 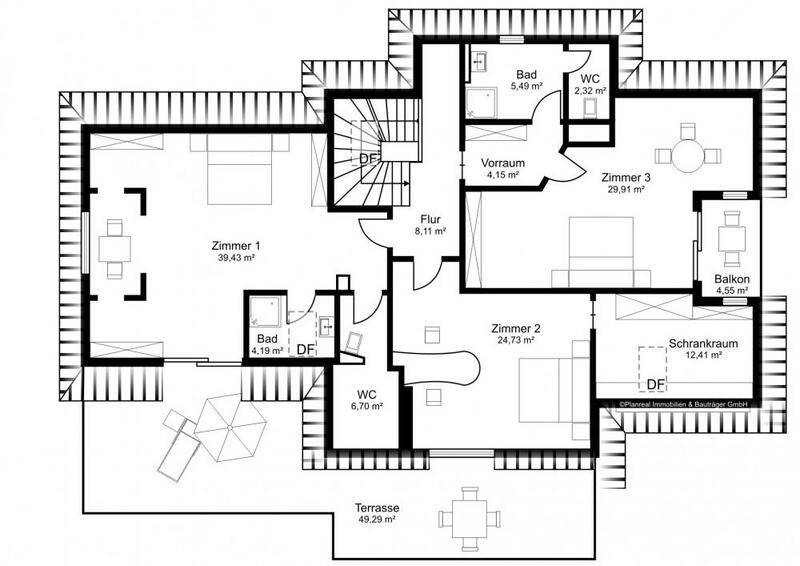 space of further 170 m2. 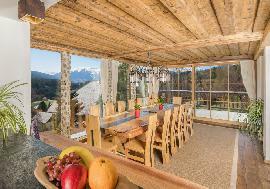 Especially stylish are the living and dining areas of this chalet. 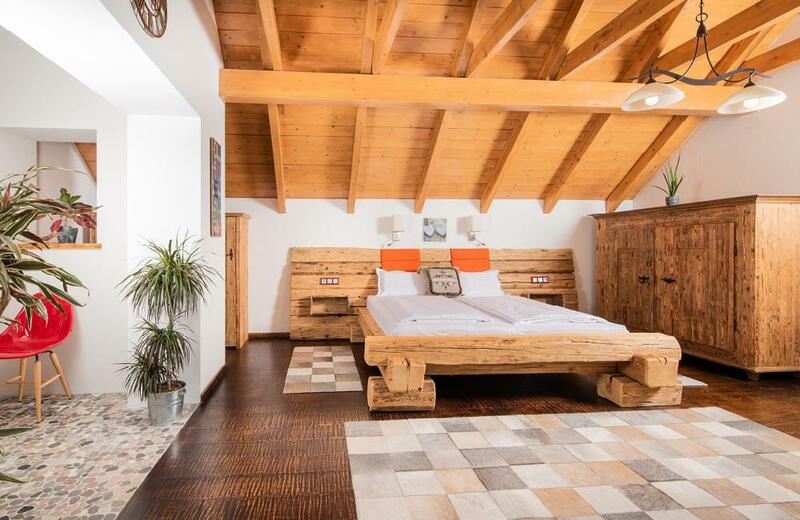 Wooden beams complete and finish off the interior of this property: wooden ceilings, built-in fixtures and fittings, high-quality wooden flooring and wooden doors create a typical Austrian country-house character. 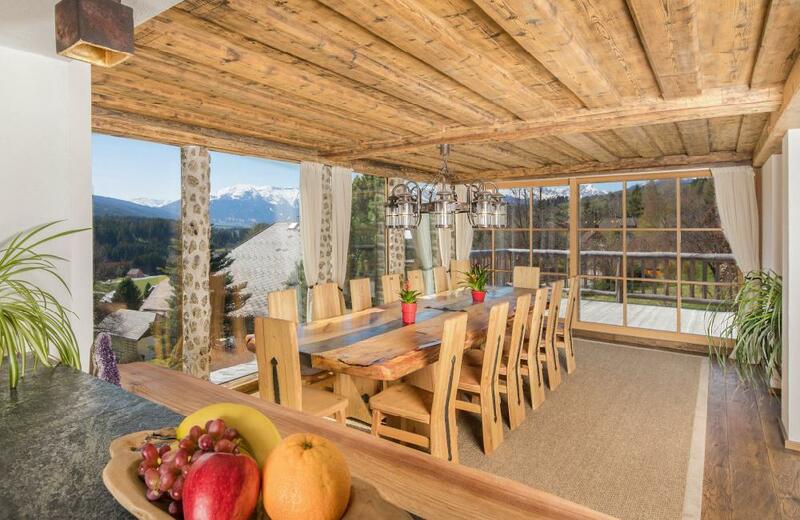 Generously large windows provide a sensational view of the surrounding mountains. The quaint built-in kitchen with the highest quality kitchen utensils ist the perfect place to prepare a wonderful meal, which can then be eaten at the kitchenbar, or at the large dining room table in the conservatory. In the ground floor there is also a barrier-free apartment consisting of a bedroom with direct access on to the spacious south-facing terrace, a bathroom, a separate WC and a practical walk-in wardrobe. 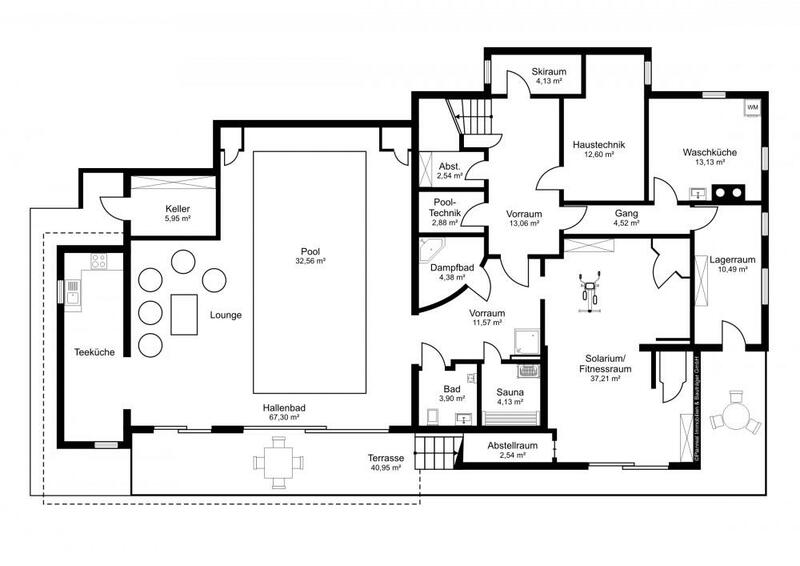 Furthermore, there is a very inviting entrance area, a WC, a large cloakroom and a practical utility room (which also could be used as another bedroom). 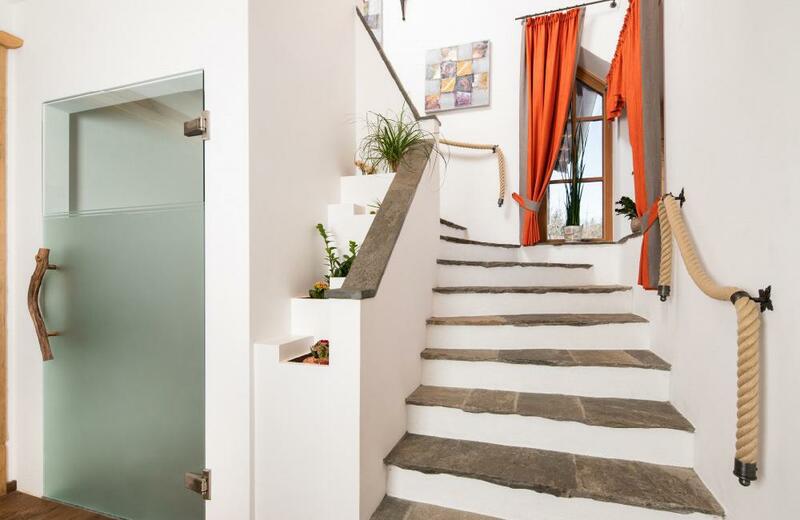 A beautiful stone staircase leads to the upper floor, which includes 3 cozy and spacious bedrooms. 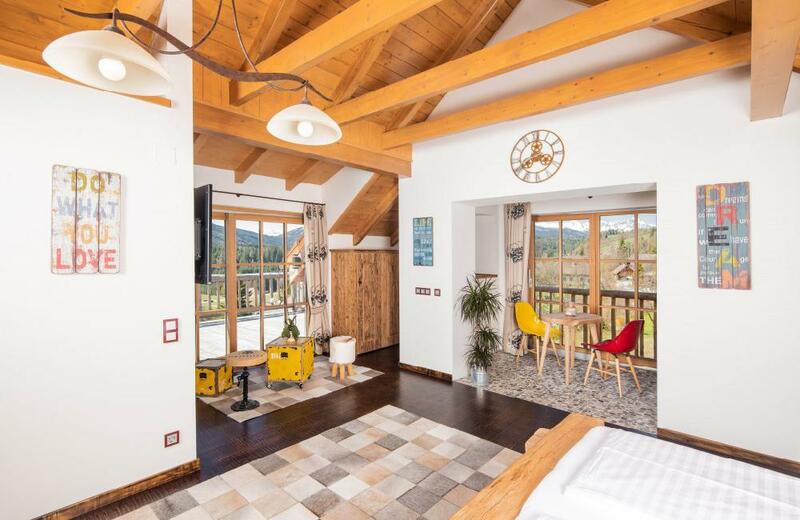 One of the bedroom is equipped with a bathroom / WC en suite and has direct access to the south-west facing terrace, which invites you to enjoy the last beams of sunshine after a beautiful day. 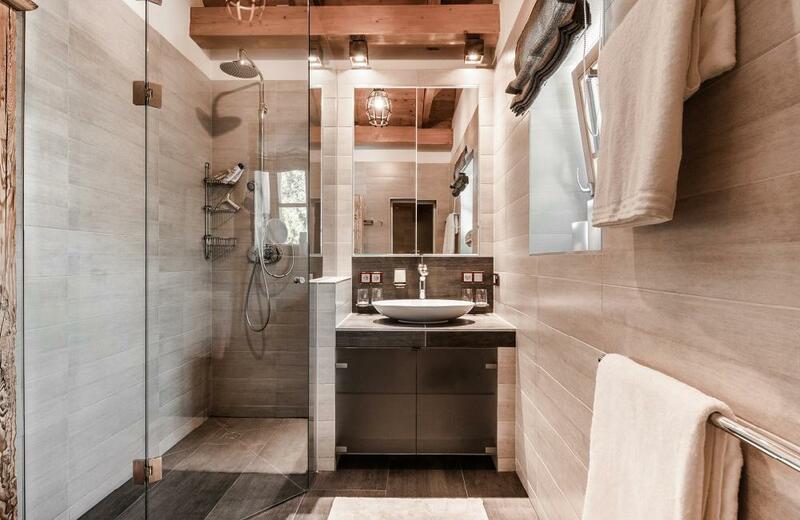 For the other two rooms there is an exclusively tiled daylight bathroom with shower and separate WC These two rooms also have direct access to the terrace and the covered balcony. In the basement the extraordinary spa area is situated. An indoor-pool with countercurrent system and energy-saving cover, a Finnish sauna, a steam bath with therapy light control and music system, an infrared cabin "Special Edition Luis Trenker" as well as the fitness room and the high class solarium ensure a sense of well-being at the highest level. 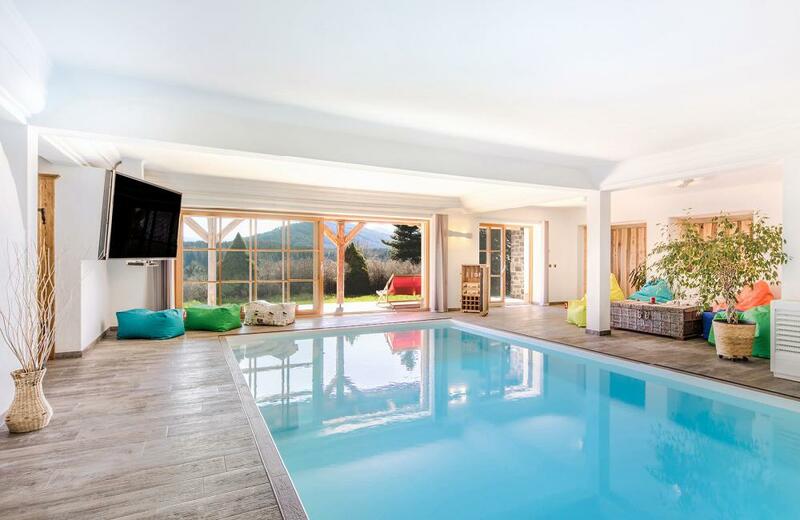 Large glass sliding elements in the pool area allow the clear mountain air into the rooms and the private terrace invites you to relax and regenerate. Here you can enjoy peace and nature far away from the stress of everyday life. 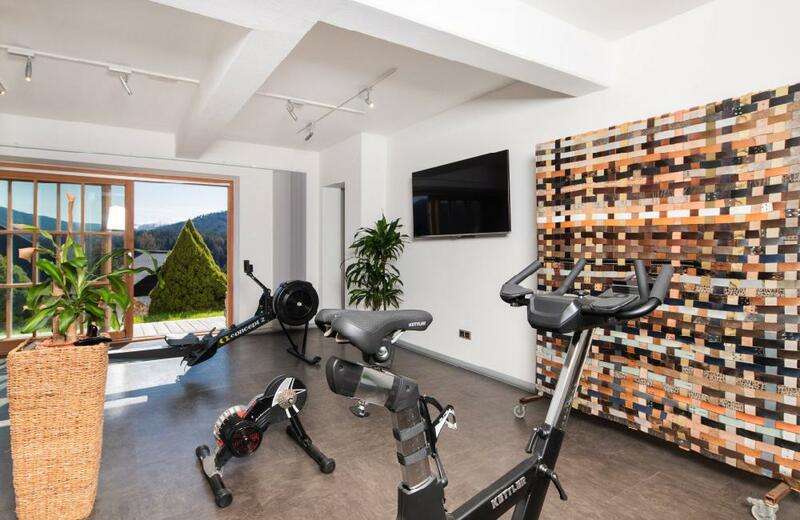 The propery is heated by means of a floor central heating (via geothermal heat) and the living spaces can be controlled individually via room thermostats. In addition, the modern technology BOSE music system in the living-dining area, dimmable LED lighting and Wi-Fi throughout the house, 6 widescreen TVs including cable TV, and much more - for a desireless living comfort. In the exterior of this property two double garages with electric gates offer enough space to safely park cars. There are also two to four free parking spaces available. 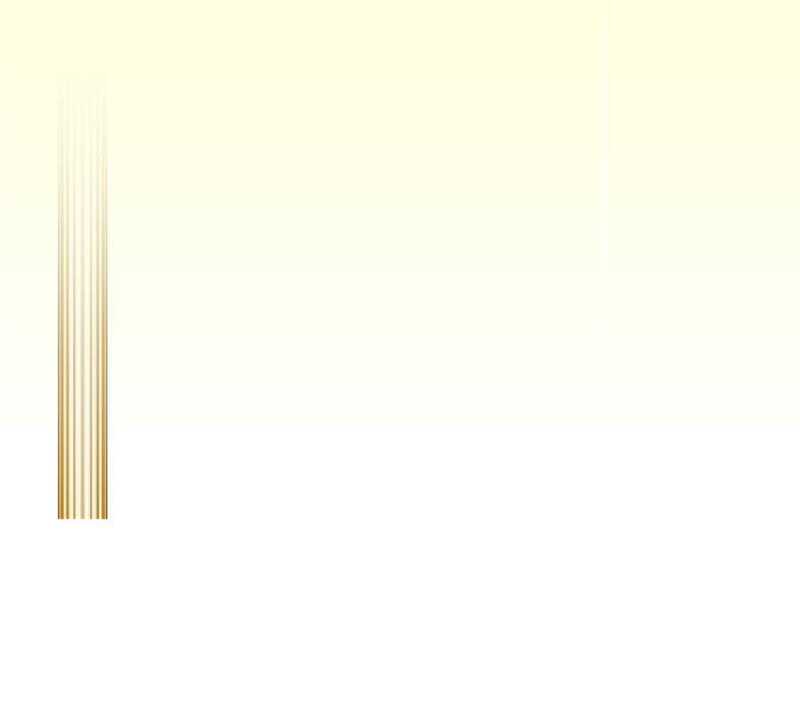 The whole stylish furnishing is already included in the purchase price. 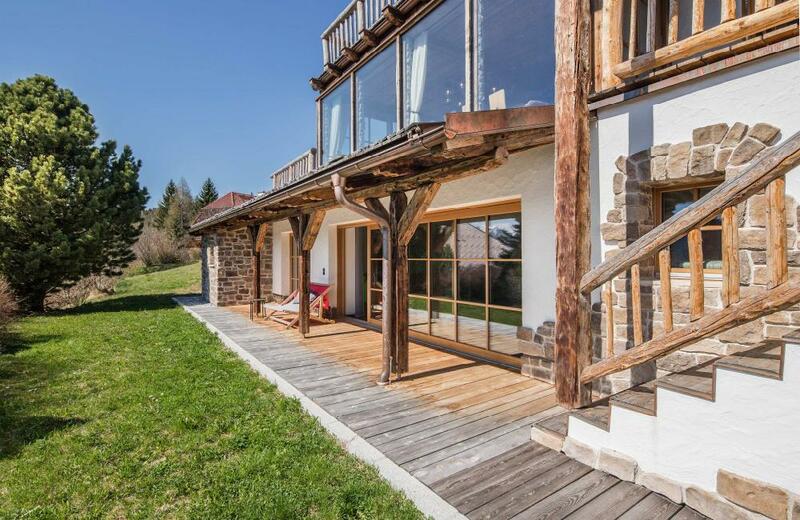 This property is located in Haslach, a quiet district of the municipality of St. Andrä, in the heart of the Salzburg Lungau. The village is 1,044 m above sea level in the peaceful Taurach valley - only a few minutes away from the district capital Tamsweg. Enjoy the fantastic location with breathtaking panoramic view, in a quiet and charming residential area. In addition to the untouched natural landscape, the region offers attractive leisure and cultural activities, perfect infrastructure, excellent restaurants, cozy cafés and evening clubs in summer and winter. 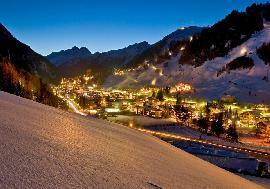 Similarly, the surrounding top ski resorts (Grosseck-Speiereck, Fanningberg, Katschberg, Obertauern) are within a short distance perfectly accessible. 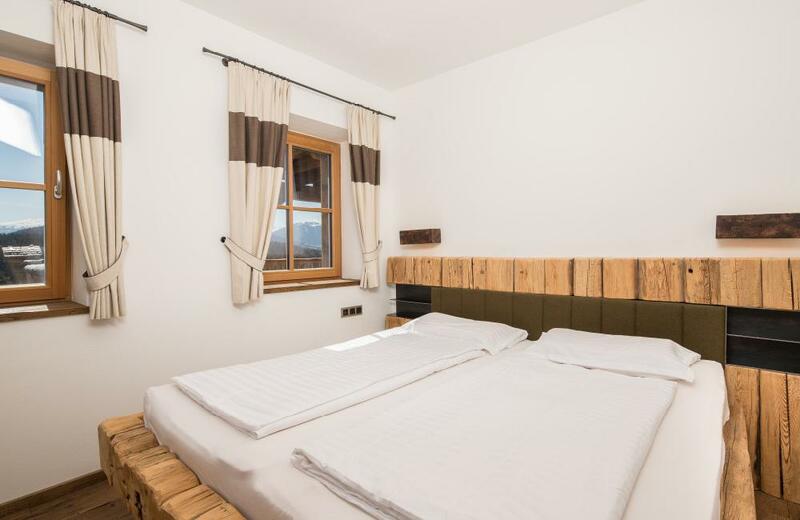 Nestled between the peaks of the Radstädter Tauern (Obertauern) and the Nockberge, the Lungau holiday region in the heart of Austria can be easily reached by car via the Tauernautobahn (A 10). 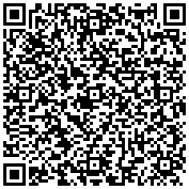 For more information regarding the property AP-PV-1433HL, please complete your details in the form below.